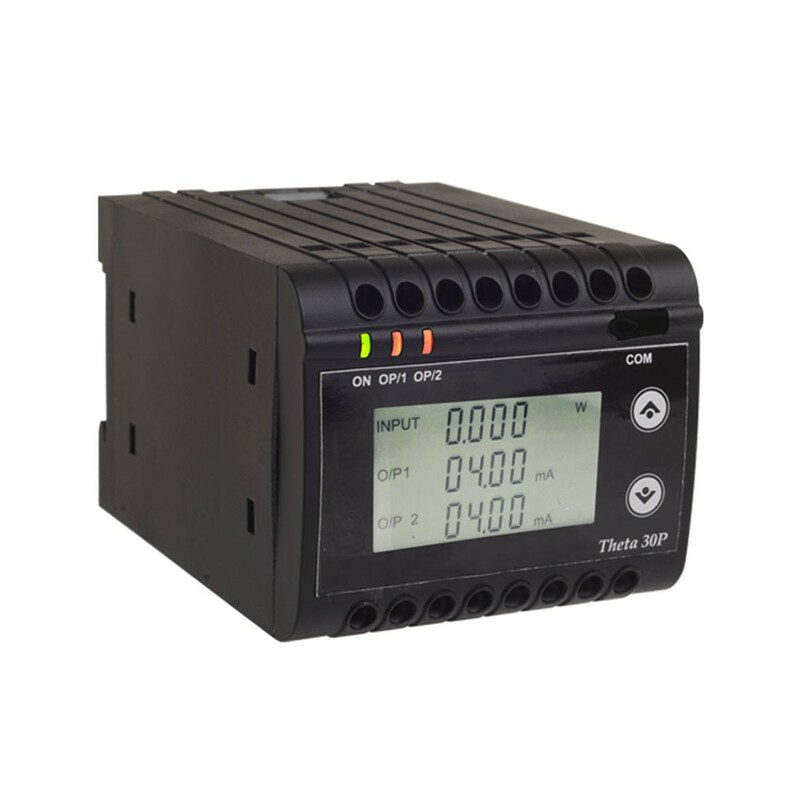 The Theta 30P measures and converts active, reactive, apparent power, phase angle and power factor in both single phase and three phase AC systems. Nominal Input Voltage: 100V to 500V Line to Line. PT Primary Range: 100V to 692KV Line to Line. Nominal Input Current: 1A to 5A. CT Primary Range: 1A to 9999A. DC Output: 0-20mA, 4-20mA, or 0-10V (DIP Switch Configurable). Programming: RS-232 with Optional Cable. Balanced or unbalanced loads are transmitted as a voltage or current output. Programming is handled through the front keypad using available display, COM port using optional cable, or through optional RS-485. The unit meets Accuracy Class 0.2 for Power and Accuracy Class 0.5 for Phase Angle / Power Factor.